Where do you go in Munich? Which cinema, which bar, which café, which hotel? 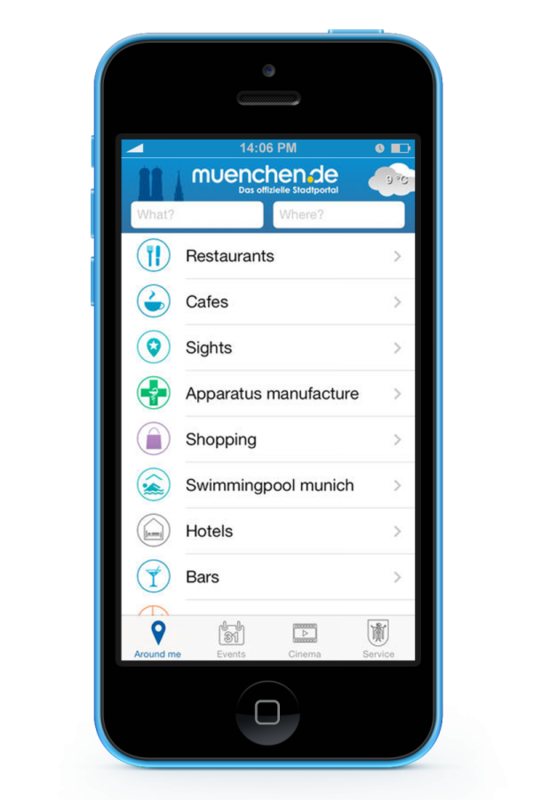 With the muenchen.de app you will soon have an answer. The events calendar, which is regularly updated, lists exhibitions, theatre performances and the latest leisure tips. The detailed cinema section features the cinema listings of the city’s main cinemas – everything from blockbuster premiers to independent cinema. 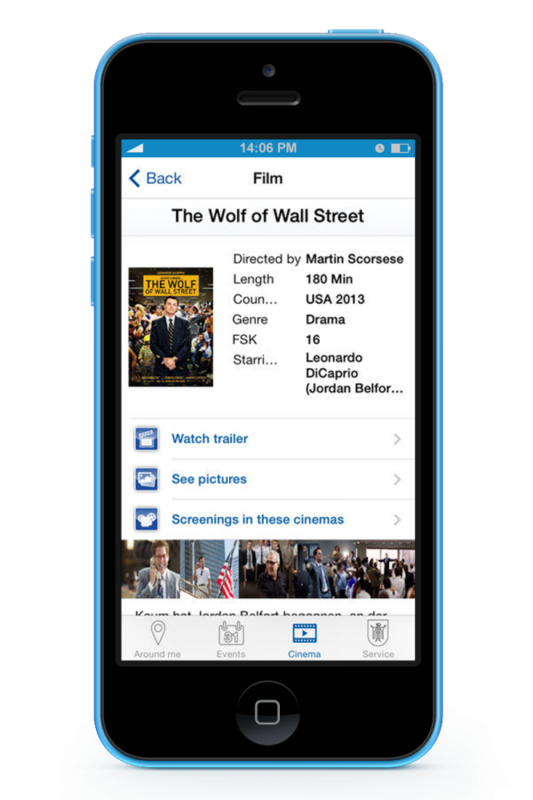 The app’s “cinema top 10” feature with pictures, film reviews and the latest trailers, helps you decide. 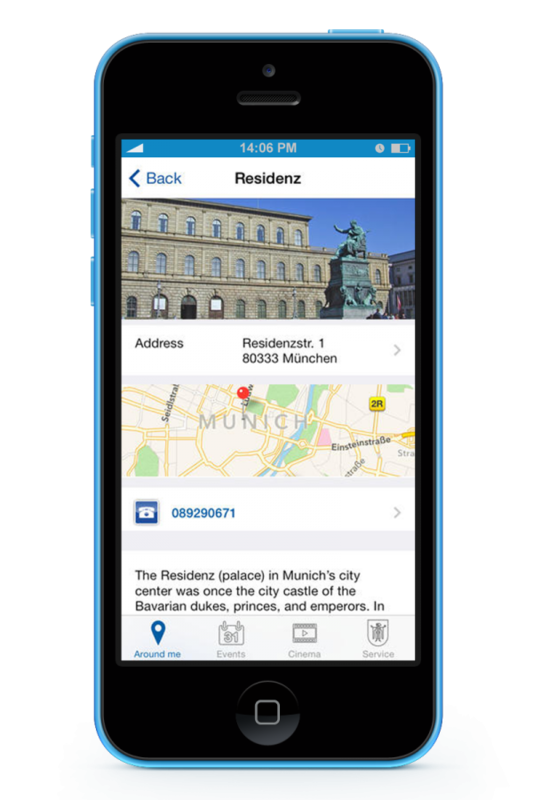 The local search currently lists more than 1,200 hotels and 2,450 restaurants including information about distances from your current location and a route planner. 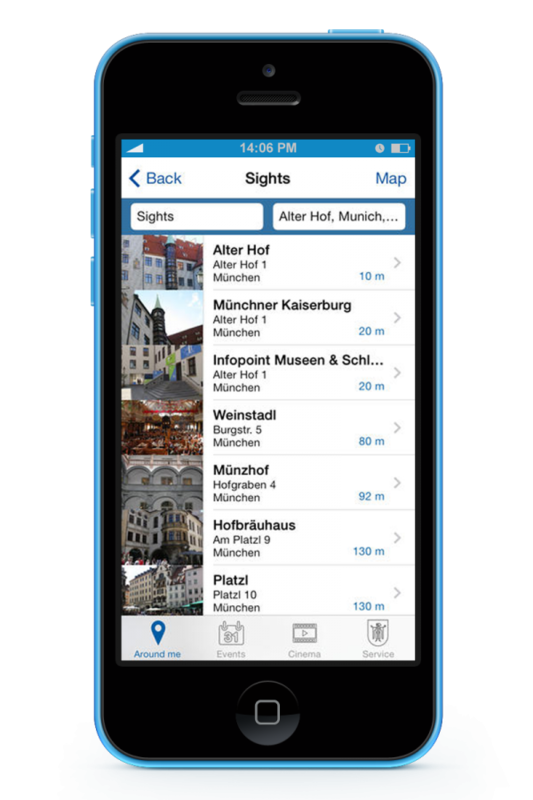 Other local search categories include: sights, pharmacies, spas, nightlife, taxi, parking and fast food. 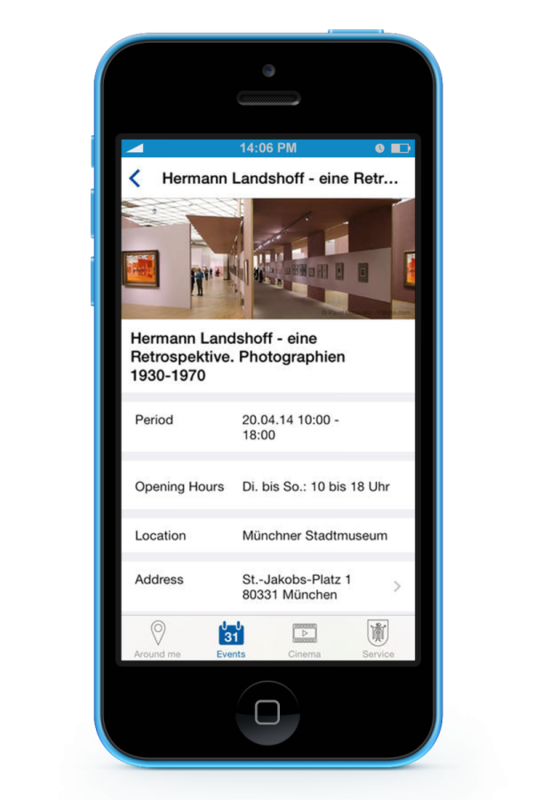 A free app with easy-to-use navigation.